: MS Hamburg and Seabourn legend anchored in Charlestown harbour with local ferry Mark Twain docked at pier. NIA CHARLESTOWN NEVIS(February 06, 2016)- – Nevis Air and Sea Ports Authority (NASPA) officials and local Cruise Agents on Saturday January 31, 2015 welcomed an unscheduled inaugural call of the MS Hamburg to Nevis. The15,000 ton, 400capacity luxury cruise ship dropped anchor in the Charlestown harbour just after 2:00pm where it remained until aft 8:00pm. The ship arrived from St. Kitts on its way to Virgin Gorda with its 334 passengers on board. The Seabourn Legend was also in port having arrived earlier at 8:00am with some 193 cruise passengers. Ministry of Tourism (MOT) and Nevis Tourism Authority (NTA) officers were kept busy offering destination information and dispatching services to our many visitors. The officers were also tasked with directing and guiding ferry passengers arriving and departing the main pier. 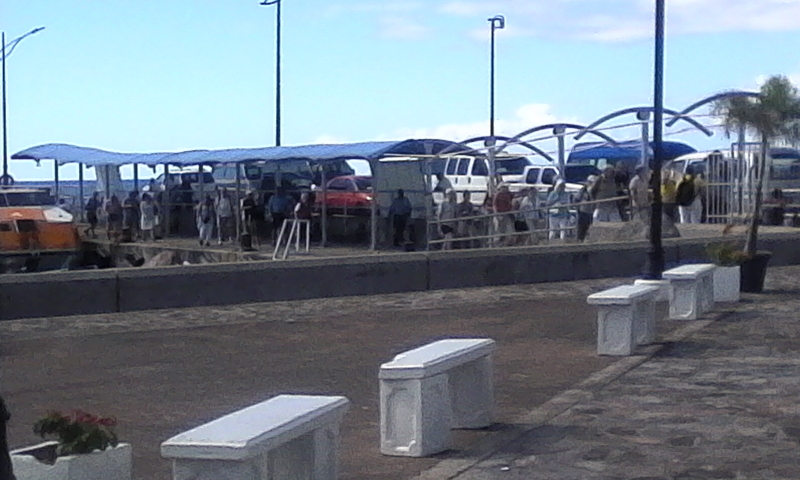 Many taxi-operators lined the pier, while souvenir shops and bars could be seen benefiting from the influx of tourist arrivals for the day. Many of the well over 500 cruise passengers came ashore via tenders disembarking at the finger pier and main pier. Many indulged in seabathing at the nearby Gallows Bay and Pinneys beach while others were escorted on guided tours organised by Kantours and local taxi operators. 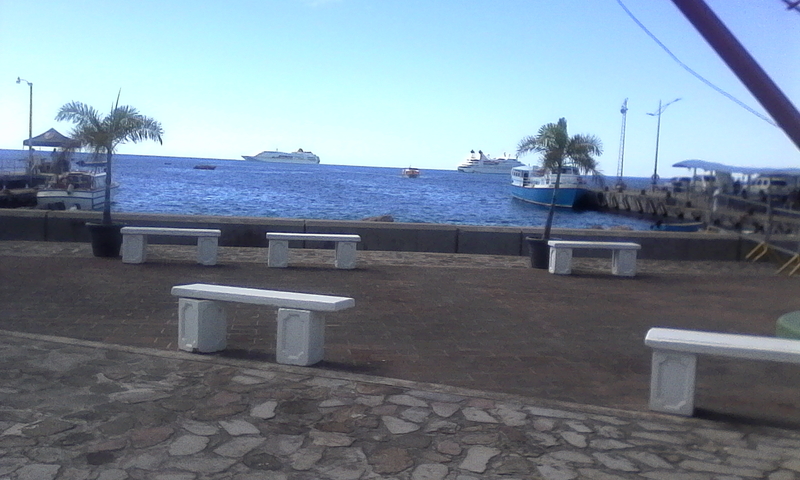 Many simply walked around our scenic historic Charlestown exploring the museums, taking snapshots, relaxing and cooling down at Paz waterfront bar enjoying the island’s sights and sound as they mingled with friendly islanders. Port officials, the NTA and Ministry officials hope that the MS Hamburg will include our island paradise on their itinerary and looks forward to welcoming them back to Nevis.